The ENETRAP series of projects initially started under the 6th Framework Programme to ensure high quality education and training in occupational, public and environmental radiation protection. The objectives of the first ENETRAP project were to integrate and harmonise education and training in radiation protection. The second project, ENETRAP II (2009-2012), aims to develop European "reference standards" and good practices for education and training in radiation protection. These standards will reflect the needs in all sectors where ionising radiation is applied (nuclear industry, medical sector, research, non-nuclear industry). The introduction of a radiation protection training passport as a means to facilitate efficient and transparent European wide recognition is another aim of this project. ENETRAP III will also introduce a train-the-trainer strategy. All organised pilot sessions will be open to young and more experienced students and professionals. In this way, ENETRAP III aims to contribute to increasing the attractiveness of nuclear careers and to lifelong learning activities. The European Nuclear Engineering Network project was funded under the 5th Framework programme. It established a basis for conserving nuclear knowledge and expertise, created a European High Education Area for nuclear disciplines, and initiated the implementation of the Bologna declaration in nuclear disciplines. The European Nuclear Education Network Association was subsequently established as a legal entity by partners of the European Nuclear Engineering Network project. The main objective of the ENEN Association is the preservation and the further development of expertise in the nuclear fields by higher education and training.The Associations mission, goals, objectives and action plan can be found on their website. NEPTUNO expanded the initial ENEN project activities including establishing and implementing the European Masters of Science in Nuclear Engineering. ENEN II which consolidated the results and achievements obtained by the original ENEN project but also expand activities to include radiation protection, radioecology, radiochemistry and geological disposal of radioactive waste. ENEN III a 7th framework project which covers the structure, organisation, coordination and implementation of training schemes on nuclear engineering in cooperation with local, national and international training organisations to provide training courses and sessions at the required level to professionals in nuclear organisations, their contractors and subcontractors. TRANSUSAFE is another on-going project associated with ENEN with the objective to design, develop and test two relevant training schemes on Nuclear Safety Culture based on a specific evaluation of the training needs. The objectives of EURAC were to assess the current and potential levels of post-graduate university provision in radiological protection, radioecology and radiochemistry, to survey the needs of European stakeholders and to develop innovative solutions to meet their identified needs. Following consultation, recommendations were made for potential masters programmes (including one in Radioecology). Information on a European Masters of Science in radioecology can now be found on the Training & Education pages of the Radioecology Exhange website. Salbu, B. et al. (2009) European MSc - To meet the need of Stakeholders. In: Current status, trends, and needs in radiochemical education: the U.S and abroad. Zeisler R. et al. (Eds.). Am. Inst. Phys., 85-92. Skipperud, L. et al. (2011) European MSc Programs in Nuclear Sciences to meet the need of stakeholders. Nucl. Eng. Des., 241, 1013-1017. • To better integrate education and training into occupational radiation protection infrastructures in the member, candidate and associated States of the European Union. The subsequent EUTERP foundation is an independent legal entity set up to provide a centralised European source of information on radiation protection education and training matters. The main objectives of the project are to: encourage and support harmonisation of education and training requirements for radiation protection experts, radiation workers and other radiation protection professionals; better integrate radiation protection education and training systems into general vocational training and education infrastructures; act as a focus for the sharing of information on training events, standards and developments. See EUTERP Foundation website for reports and information. ACTINET is a network of excellence dedicated to actinide sciences which started within the 6th Framework Programme in 2004 and continues within the 7th Framework. It aspires to improve European expertise in the broad field of actinide sciences. The ACTINET consortium has major experimental facilities, possibilities for education and training, capacities for applied and academic research. 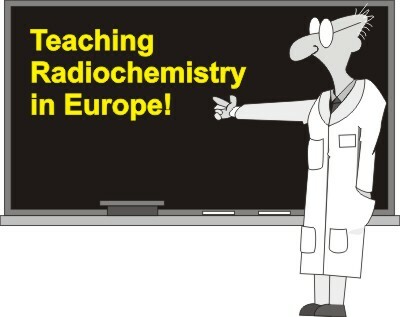 NukWik was created as part of the CINCH EU-project which is an educational and training project for evaluating and planing radiochemistry teaching in Europe and is funded by the 7th Framework Program of the European Commission (Euratom). It is primarily aimed at nuclear chemistry teaching at Universities. More information can be found on the project website CINCH. The objective of the FUTURAE project was to evaluate the feasibility of network(s) of excellence to maintain and enhance competence in a resource efficient manner and to enhance sustainable collaboration in the field of assessment and management of the impact of radionuclides on man and the environment. The STAR project was initiated on the basis of the findings of FUTURAE. Vandenhove et al (2007) Assessment of the present situation of research in radioecology in Europe. Deliverable 1. Moberg et al. (2007) A study of stakeholders views on radioecological needs in Europe in the next 5-10 years. Deliverable 2. Annex. Beresford et al. (2008) Rationalising radioecological capacity with requirements. Deliverable 3. Gariel et al. (2008) Networking - a way for maintaining and enhancing radioecological competences in Europe. Deliverable 4.